It was only a matter of time before I finally got to talk about Timpo Swoppets. I’ve covered Timpos solid plastic figures in an earlier post and I’ll get to the lead stuff later but its time to talk swoppets. This is the first general post of a series. 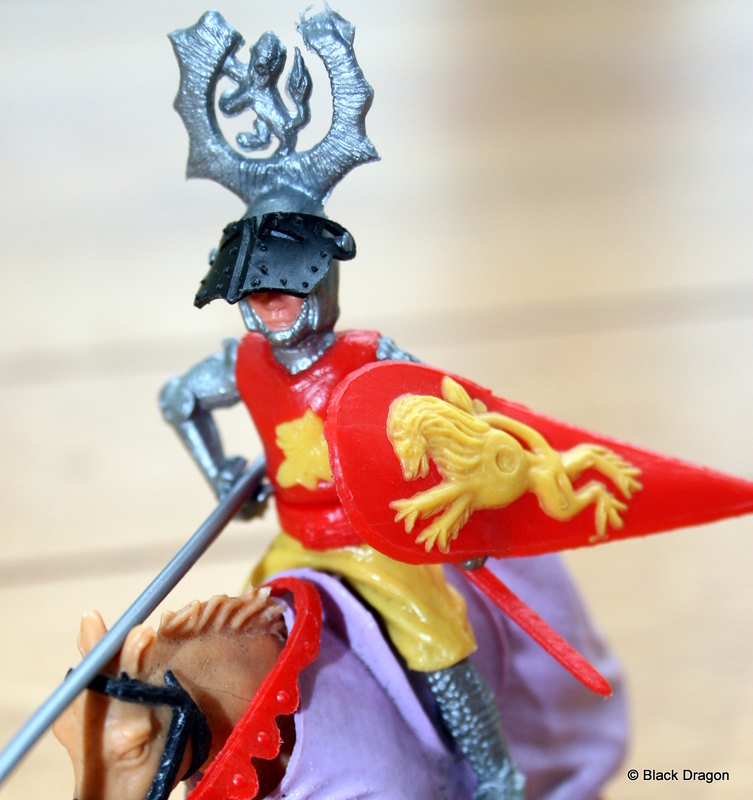 What is it about these 54mm toy soldiers, made up of brightly coloured individual plastic parts that make them so highly collectable and in some cases so valuable. Such is the demand for Timpo that even the knock off HK versions of the figures are beginning to sell well! or looking for that final figure you need to know what you might expect to pay. So why are Timpo Swoppets so collectable? Well a number of factors come into play. Firstly they look great and the attention to detail on the figures and accessories is excellent playing very much into mentally how you think a character should be represented from historical references in books and probably more likely the key influences from the movies we grew up with in the 50’s, 60s and 70’s . The over moulding process was revolutionary when invented and coupled with the quality of the sculpting led to a very unique product and high quality product. When other makers began to move into swoppet lines they did it with minimal success finding it difficult to match the quality that Timpo achieved. Britain’s is probably an exception to this as they had the sculpting and production capability to match and in some cases exceed the quality that Timpo had set the benchmark for. The color of the figures is very good and although the earlier figures are liable to be brittle they are sturdy and look good in display. I’ve seen comment elsewhere that suggest the fact that the could be swopped was the key factor that made them collectable but I feel the main reason is that throughout production Timpo would change things and mix things around producing parts and accessories in a variety of colours and poses. This mix of series versions, updated poses and colour variation is the key. So we had millions of one pose in a certain pose/colour and then varying the colour/pose for a smaller production run. So you might get a common colour in an uncommon pose or a common pose in an uncommon colour. Many years later this has resulted in lots of common figures and much fewer uncommon figures. Later production would see even more detail implemented in the over moulding process such as different hair colours, and other details and this led to a significant level of variation. 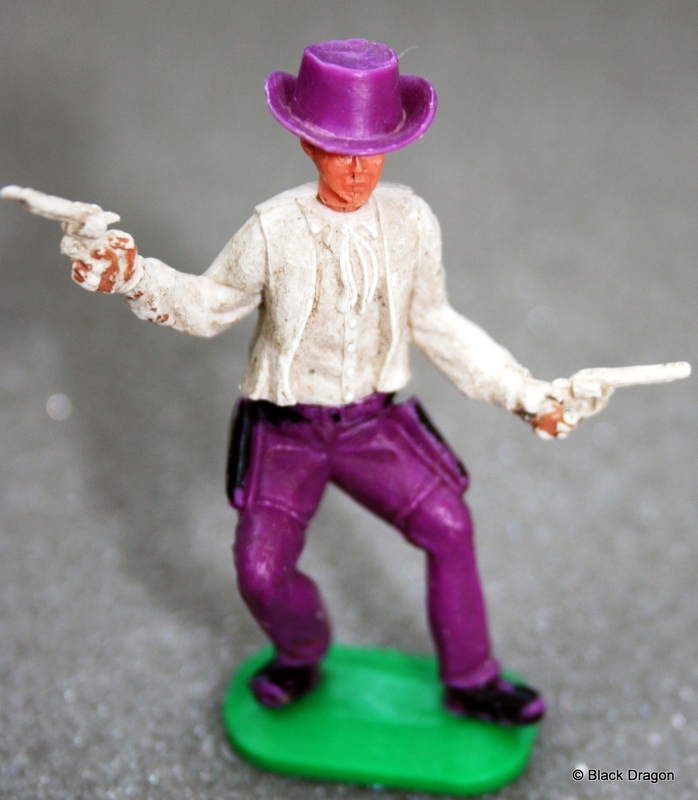 As an owner of the figures either having played with as a child or collected in later life you could then choose to simply make up you own variations. Add to this that they changed the figures by issuing an updated series on a number of occasions over the years you begin to see how this has affected supply and demand. You also end up with a situation where some of the earlier figures are not so rare because more were produced during a longer shelf life. Consequently some of the best prices can be found with the figures issued in the 1970’s just before Timpo originally went bust. These were issued for a very short time, reflect the over moulding process at its best and make up some of the rarest and most sought after figures. 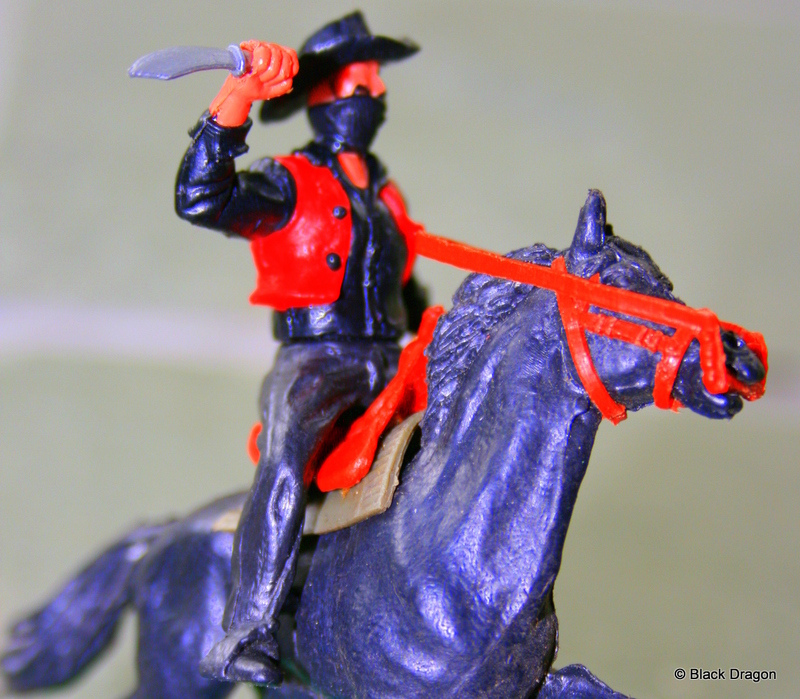 Series 4 Confederate soldiers are an example of this. 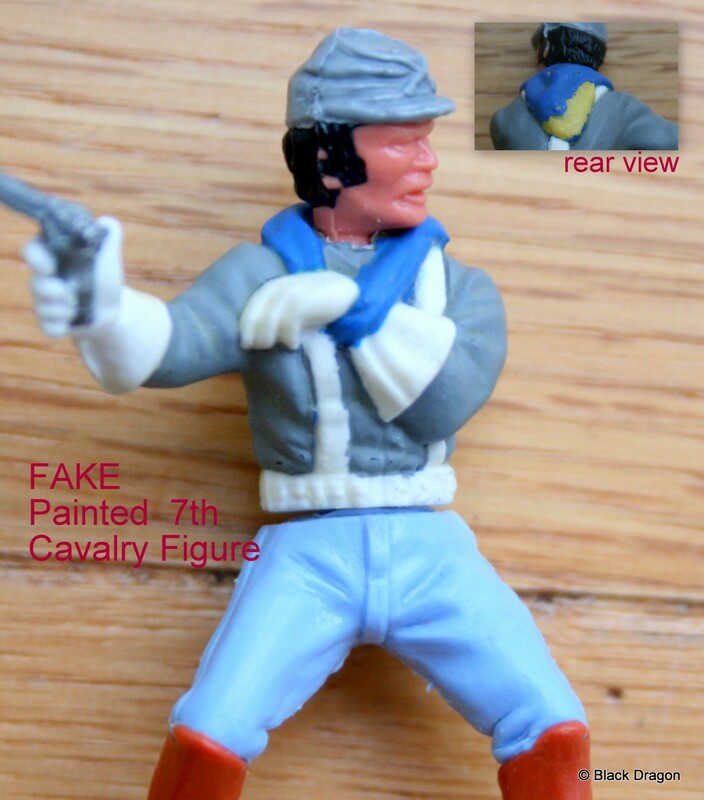 Holy Grail figures such as the 7th cavalry trooper in a prone pose don’t appear to actually exist other than in brochures but I have read that some were issued. Would be great to see one! Recently while attending my usual seaside car boot sale I purchased on old 1970’s toy kit fort in wood unmade and sealed – with figures. When opened it contained a bag of never played with Timpo 7th Cavalry figures including a general with the fancy braces but unfortunately not the Holy Grail figures! By the way it’s no good trying to paint your way to a life of luxury. This is frowned upon and will not really work. See this example of a FAKE confederate. A mug ( me ) purchased this from an auction house as part of a large lot and of course as I purchased via the web I didnt see it was repainted, very well it has to be said . Despite this and advertising them as repainted they still sold to one of our good friends in Germany for a surprisingly high figure. 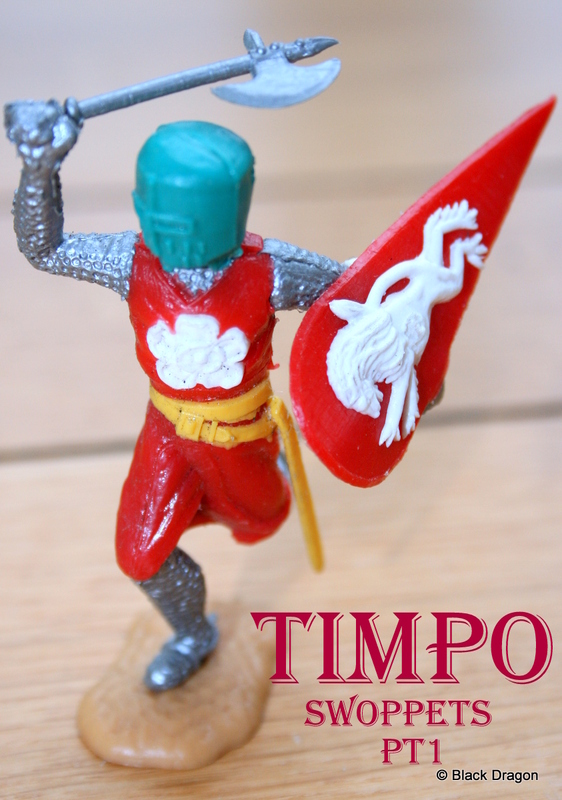 Much of Timpo’s production went to Germany for a number of reasons and Timpo figures are highly sought after by German collectors. One other thing to mention is Timpo’s attention to detail with its accessories . This needs its own post but heres a pic of a set of very rare black crusader shields……well actually another fake or copy but very well made. 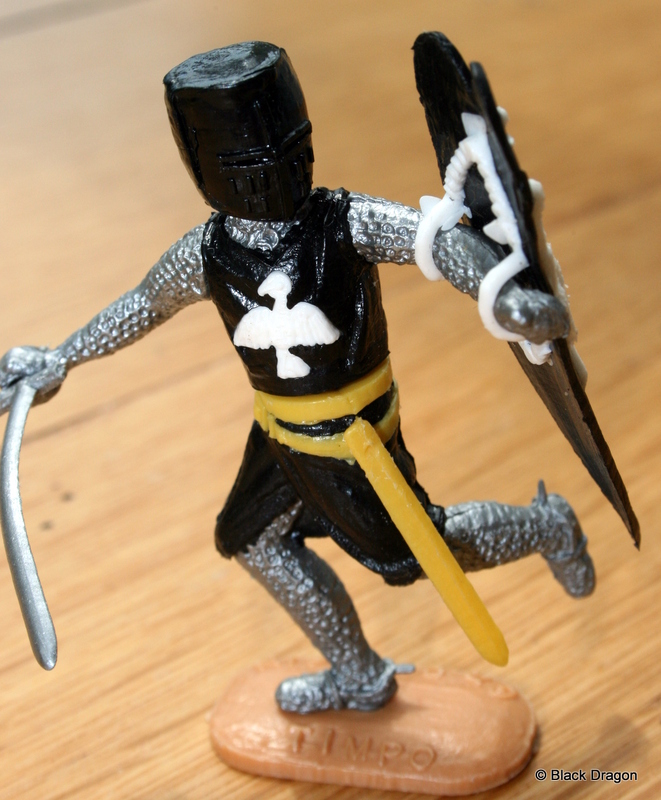 I was never able to find out who made them but they now reside with some thankful crusader or knight figures in Italy. If anyone knows who made them please post a response. So that’s it for this first post . 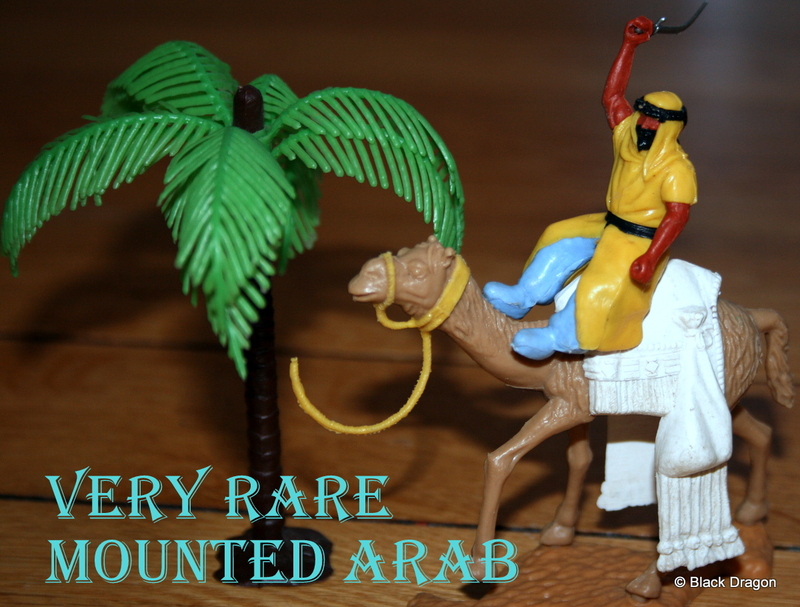 I have over 900 pictures of Timpo Toys and will get some more posts done as time permits. 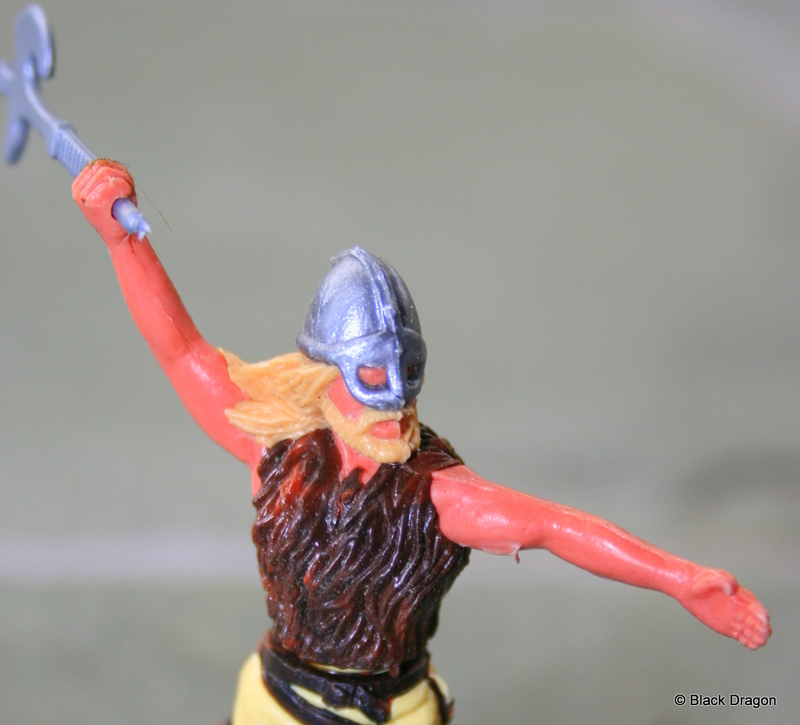 If you collect Timpo then I’m sure you will already have your favorites but if this is new to you and this post has generated some further interest you may want to find out more. May I suggest Michael Maughan’s excellent full color book (2nd edition) on Timpo which you can get on ebid. www.ebid.co.uk and on ebay sometimes. Plastic Warrior also produced an excellent Timpo special covering the company from 1937 to 1995 which is now out of print. While this covers a wider production it does have some excellent articles on the development of over moulding and the swoppet figures. Now out of circulation you can pick it up on ebay from time to time but be prepared to pay a fair bit as it’s a sought after publication. It would be great to see an updated version in colour at some time something that the folks at plastic warrior have started recently with the bi monthly magazine ( highly recommended and great value ) and one or two of the specials have been reissued in colour. 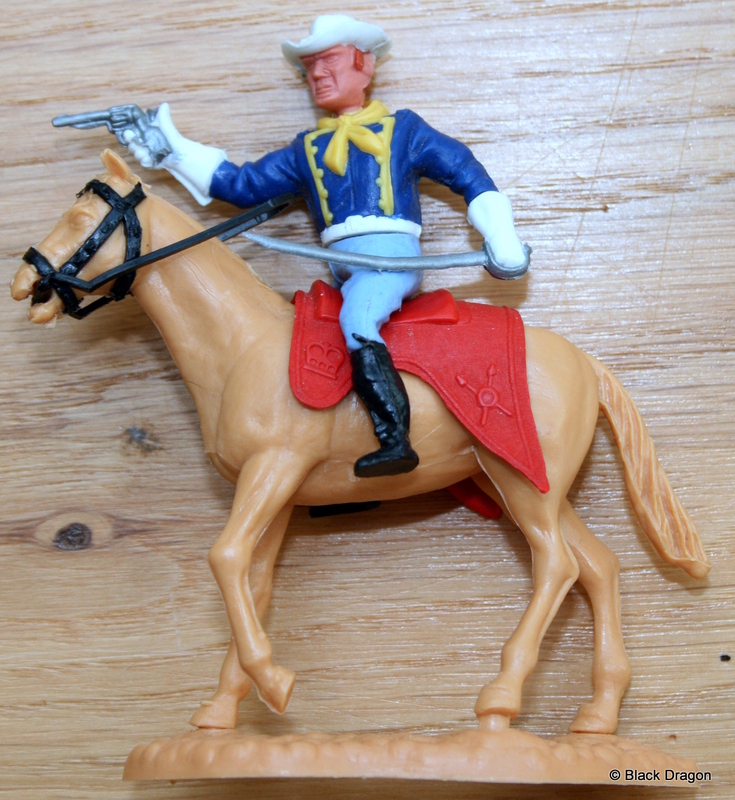 This entry was posted in Collectables, English Plastic, Plastic Collectables, Timpo, Timpo Swoppets and tagged Collectable, Plastic, Plastic Figures, Timpo, Toy soldier, Toy Soldiers, Vintage Figures. Bookmark the permalink. Hi, the Crusader shields with the black crosses are neither fakes nor copies, they are remoulds recently produced from the original moulds, the current owner of the moulds produced them in black so they wouldn’t be passed off as originals. Thanks for the interesting feedback . When you say recent I would be interested in how long ago. These shields came to me in a old loft box of toys and I remember the contents fairly well as it included a very nice 1st edition batmobile with rare tyres!!. They were amongst a load of old small airfix , some timpo and mostly Britains figures and other toy debris , I would say from around the mid early to mid 70’s but not the late 70’s. . The box has around 10 shields, some of which were broken and as brittle as old plastic and I would say the plastic was very dirty as I cleaned them up a bit. I doubt very much they had been added in to the box at a later stage . Were they made by Toyway ? . Would be good to pinpoint the date as I’ve never seen them since I found the first lot. Hi, all I can tell you is that shields like this were made during the last three years, after the moulds were sold by Toyway, and were on sale at the Plastic Warrior show two years ago, there were several variations of colours. I don’t recall Toyway ever atempting overmoulding, they were a trading company rather than a manufacturer and Timpo was never a serious commercial entity for them, more a nostalgic interlude for Richard Morris, the owner of Toyway, who had been the International Sales Manager for Timpo. Hope this helps, regards, Brian. 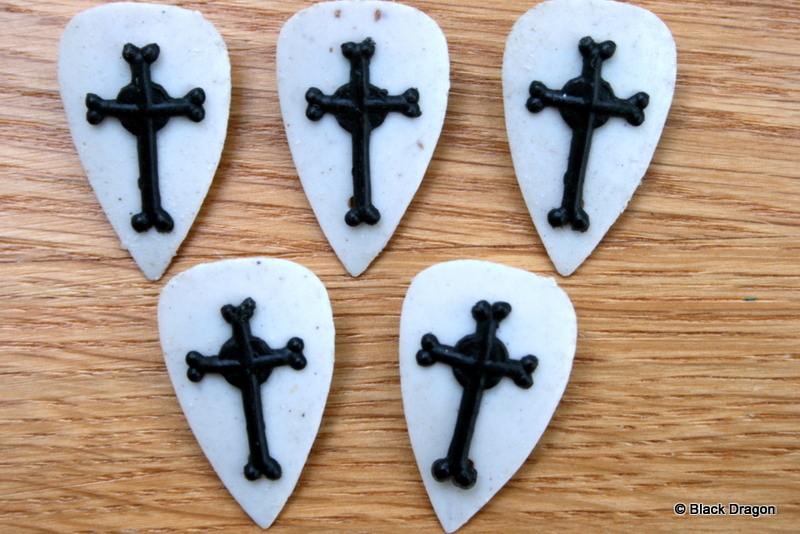 the black cross shields are produced by the owner of the original moulds. Thanks for the Timpo overview. Not a lot on the web, so great to see some history and, even better, very nice photos. Always envious of those who have a decent Timpo collection. 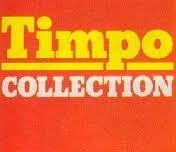 My mother did her best to keep me in supply of Timpos in the late 1970s, I only wish my dad was the same – a toyshop around the corner from his saddle store (this was around 1980) decided to sell all their remaining Timpo for $1 a box. I distinctly remember most of it was Wild West. My dad’s contribution? $1. I bought the General Store. Now purchase figures once a year, as can’t justify the high cost of collecting Timpo, but I do have a shelf full. Would love a company to introduce some really nice over moulding similar to Timpo (with an eye for the kids rather than expensive collector pieces) but have never seen anything to match Timpo. Any suggestions? This company in the states have a range of affordable swoppets figures. Thanks for the post. Keep checking the site as I’ll be posting a lot more in the summer. Quite enjoyed the rants on the company’s website. 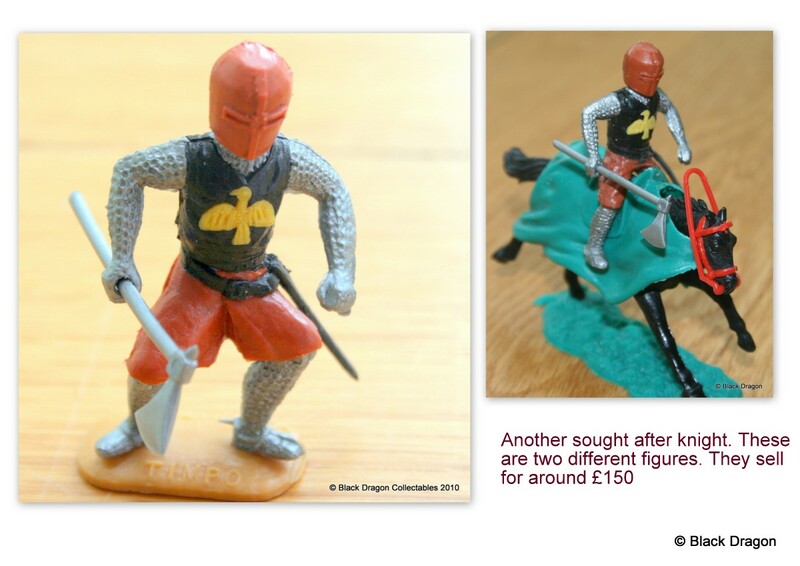 Figures not up to scratch yet (colours diluted), and no Paypal discounts internation payment. I’m hoping someone with a decent budget will come in and produce some swoppets in the future. Looking forward to those pics. Also hard to find much out about new zealand Timpo,some great ones made over here and now sought after highly. I have a question. Which first series indians are considered ‘rare’? I have a couple of examples but never considered any of them rare, just a bit on the worn side. Do you have any thoughts or pictures? Thanks. Hi Mig, I’ll dig out a few pics of some 1st edition I have sold. A few years ago the 1st Edition Cowboys and Indians were making very good money but recently they have slipped away price wise. As always a complete figure, not damaged or repaired with a good headress ( mottled or coloured very popular ) and rarer belts seem to be the ones with silver on them and unusual colours like yellow or yellow legs with black belt. A good early base in green and original weapons. 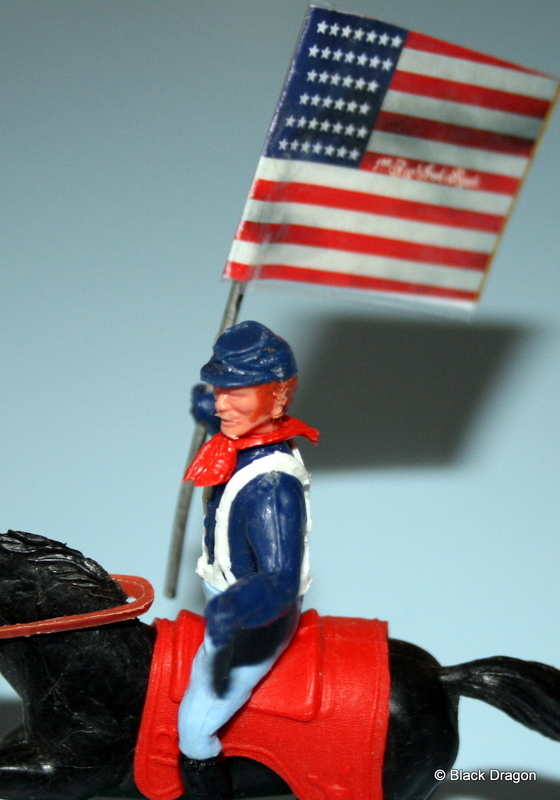 If a mounted figure then with a first edition horse with painted bridle. 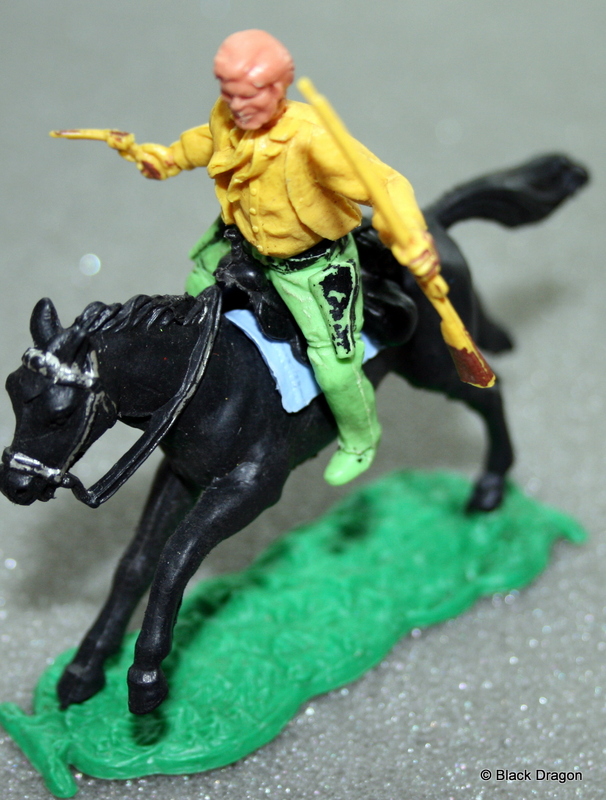 A few Timpo figures I’ve bid on cheap on e bay and lost and wonder what they were worth are a white apache body firing a rifle (sold for about 15 pounds), a gun crew with red shirts (sold for about 20 pounds) and a cavalry lot including a confederate general with a black belt (sold for about 60 pounds). Any idea on their worth? Hello Kenneth. More Timpo are sold on ebay than anywhere else. Usually around 2-3k items on .co uk and .de at anyone time . I’d say that the sale prices are what they are worth as the market generally sets the current price . For instance the confederate at £60 has the black belt priced in. Good luck withe buying. Recently at an old person auction I purchase a large bag with the plastic toys that you have. Some are made in Hong-Kong, others has the markings of HK, others have no markings, The detail of the molds are exquisite for such small figure. superbe présentation des timpo , dans les année 70 j’en avait acheter et malheureusement j’ai tous donner a mes cousin quand j’était plus jeune , j’en ai trouver un jour sur une brocante , une boite en métal compléte acheter a 5 euros et depuis j’en achéte ou échange . 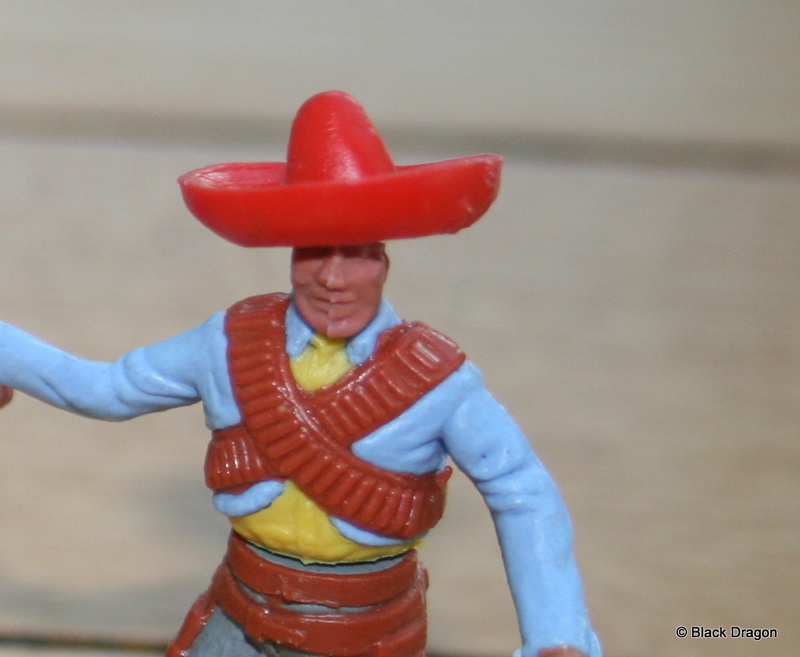 ceux que je préfére comme a l’époque ce sont les mexicain , les arabes dont ceux a chameaux trés dure a trouver et cowboy et indien et les croisades . j’achéte des armes sur ebay en provenance d’allemagne . le site et trés bien et aide dans les recherche . i got large collection of timpo knights . never though of seling them . but seeing them prices makes you think . i.ve got a question that as naged me for years ? some of my swoppet’s have the hole in the body and the plug in the base , and some have the plug in the body and the hole in the base ? 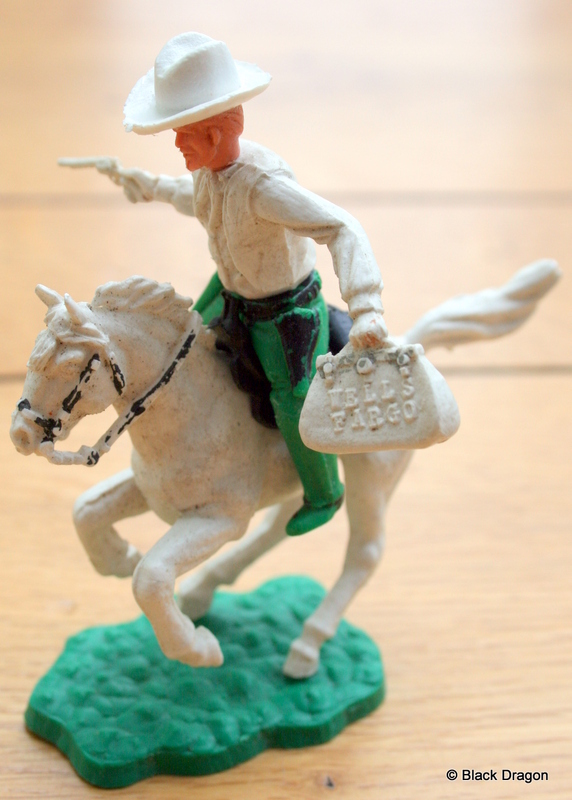 clearing out my parents attic and have uncovered an entire town of timpo Indians, Cowboys, buildings, corales, fencing, in fact everything and wondering if it has any value? HI Jackie – did you sort out your timpo ? 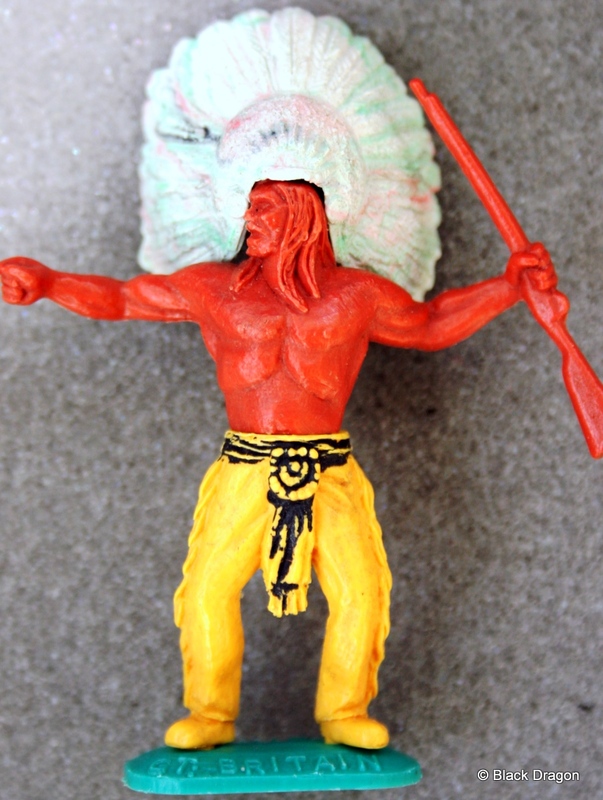 I’ve just found a Timpo Indian with lime green trousers an unusual pose and a knife stabbed in his left forearm, I’ve never seen one before. Their doesn’t appear to be any facial features on the faces. Does anyone know if this was issued by Timpo / is it worth anything? Hi Simon. Even without seeing these I can tell you that these would not be by Timpo. Timpo never made items in HK. 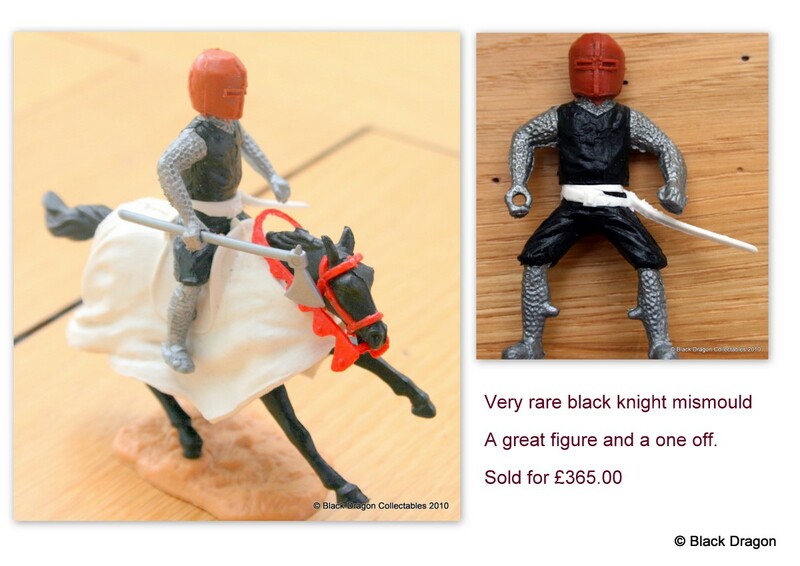 if you send me some pictures – blackdragoncollectables@gmail.com I can be a bit more specific. Not strictly true. Timpo did have HK items manufactured, as evidenced in the ’77, ’78 and ’79 catalogues……and best be described as woeful. Fortunately, few examples survive today! You’re quite right saying that Simon’s items do not appear to be from the Timpo stable. Look forward to seeing the pictures, sounds interesting! Thanks for the feedback . Would be keen to see a scan of the 78/79 cat pages with the HK produced items. If you can send me some pics I will post them up. There were of course plenty of awful ( and some not bad ) Timpo copies made in HK during this period . Not sure if this is an old thread but I have a box of a wild west hill fort made by timpo, it has the box and background scene but the fort is rather brittle and a lot of the pieces are broken. There are around 25-30 characters and a dozen horses and cactii but most, again, broken (except cactii). I have no idea if it’s worth anything but I didn’t want to throw it away. Hey Maurice can you send me the picture please of these items also even if you dont have them anymore you may have the photos? I live in Australia and have a cupboard full of Romans Knights Cowboys Eskimos Arabs etc. Im looking at selling them. What is the best way to do this directly with someone? Would rather not do eBay. Thanks. 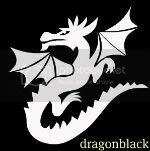 hello Glen .Email me at blackdragoncollectables@gmail.com and we can discuss your collection further. Would be delighted to have a look. Hi I recently dug out my old collection on timpo toys I have a lot and need some help in working out what they may be worth. working with that plastic. Any help? you need to use an all plastics glue. Loctite make it.